James Newman, MD, FACS, is a skilled, fellowship-trained facial plastic surgeon performing cosmetic, reconstructive and non-surgical facial rejuvenation treatments. He is certified by both the American Board of Facial Plastic and Reconstructive Surgery and the American Board of Otolaryngology. In addition to treating patients at Premier Plastic Surgery, Dr. Newman is on faculty at Stanford University and serves as a consultant to Palo Alto Veteran's Hospital and Valley Medical Center in Santa Clara. Over the course of his impressive career, Dr. Newman has authored numerous scientific articles, and he routinely lectures on topics pertaining to facial plastic surgery both nationally and internationally. In addition, he holds advisory board positions with several plastic surgery development companies and has been named one of the Silicon Valley's Top Physicians by San Jose Magazine for two consecutive years. Dr. Newman performs a variety of facial plastic surgery procedures, including blepharoplasty (eyelid lift) surgery. Eyelid lift surgery rejuvenates the upper and/or lower eyelids by reducing excess skin, muscle and fat caused by aging. During upper blepharoplasty, Dr. Newman creates the surgical incisions along the natural creases of the eyelids to minimize the visibility of postoperative scarring. Incisions for lower blepharoplasty are made along the lash line and smile creases of the lower eyelid and are essentially invisible to the naked eye after surgery. When performed by Dr. Newman and his medical team, eyelid surgery reverses visible signs of aging and provides patients with a more youthful, rejuvenated upper facial appearance. Eyelid lift surgery can also be combined with other facial rejuvenation procedures offered by Dr. Newman (facelift surgery, nose surgery, brow lift) and with non-surgical facial laser treatments or injectables. In addition to eyelid surgery, Dr. Newman offers a number of other cosmetic procedures, including breast augmentation, liposuction and tummy tuck. As a qualified reconstructive surgeon, he also offers a range of restorative procedures such as reconstructive nose surgery, scar revision surgery, surgical excision of skin cancer, facial restoration surgery after injury and more. Surgery is performed at Premier Plastic Surgery, an accredited surgical facility that is staffed with board-certified anesthesiologists for maximum patient safety. At Premier Plastic Surgery, Dr. Newman has access to some of the most advanced laser equipment and surgical technology available, which allows him to deliver safe, predictable and aesthetically pleasing surgical outcomes. James Newman, MD, FACS, completed his undergraduate education at Baylor University. He obtained his medical degree at the University of Texas. As a result of his excellent academic success, Dr. Newman was inducted into the prestigious Alpha Omega Alpha medical honor society and was honored with the Jimmy Dickinson Award. After medical school, Dr. Newman completed a five-year residency in head and neck surgery followed by fellowship training in facial plastic surgery at Stanford University. During this time, he successfully performed more than 1,000 surgical procedures. 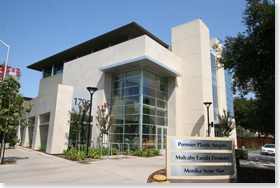 Dr. Newman is on staff at several hospitals in the South Bay Area, including Mills-Peninsula, El Camino and Stanford University hospitals. He is a Fellow of the American College of Surgeons, the American Academy of Otolaryngology-Head and Neck Surgery, the American Society for Lasers in Medicine and Surgery and the American Academy of Facial Plastic and Reconstructive Surgery. Dr. Newman is also a member of the Santa Clara Medical Association, the International Society of Hair Restoration Surgeons, and the World Society of Aesthetic Surgery, and is on the executive board for the California Society of Facial Plastic Surgery. 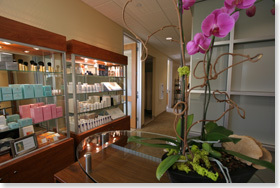 Dr. Newman also treats San Jose / South Bay facelift and nose surgery patients. Please visit the respective pages to learn more.